Learn how to create ads on Facebook that get more clicks. Placing ads on Facebook provides one of the most targeted advertising opportunities today. The social network knows the demographics and interests of more than 1 billion people who are active online. Learn how you can boost your Facebook marketing through smart advertising. 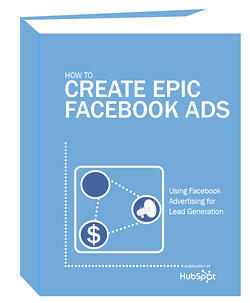 Download "How to Create Epic Facebook Ads" to get a comprehensive view of this new advertising channel. Written by Andrea Vahl, co-author of Facebook Marketing All-in-One For Dummies, this ebook will walk you step-by-step through the nuances of Facebook ads.